As I write this Christmas is just around the corner. That means people are getting their Christmas hams ready, the trees are decorated, and there might even be some mistletoe hanging up in the house somewhere. And after the whirlwind of presents, breakfast, lunch, dinner, football, family, and maybe a few spiked eggnogs has passed you by be sure to remember this blog post…it could come in handy one day. That’s because some of the things you used for Christmas can have amazing survival uses. Heck, you can get away with using them for everyday uses too. Here’s a few you might not have expected…behold the survival uses for Christmas things. 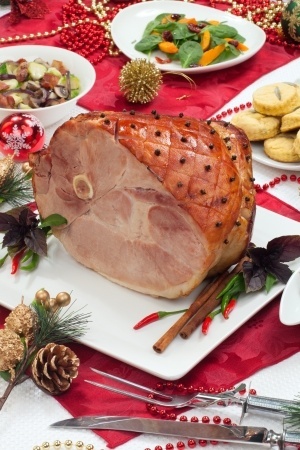 1 – Bones from ham/turkey/roast etc. The bones in your food are nutrient rich powerhouses that have the ability to heal your body. Dr. Josh Axe writes about how bone broth can help heal your body. Bone broth or stock was a way our ancestors made use of every part of an animal. Bones and marrow, skin and feet, tendons and ligaments that you can’t eat directly, can be boiled then simmered over a period of days. This simmering causes the bones and ligaments to release healing compounds like collagen, proline, glycine, and glutamine that have the power to transform your health. This is an amazing source of nutrients difficult to find elsewhere. Keep those bones, cook them down and then use them to help restore your health. This is especially important to remember if you’re in a survival situation and manage to kill an animal. There are a few uses for pine boughs. Now granted, in a survival situation you’re not going to be able to just walk down to the hardware store and pick up pine boughs by the bundle for your personal use. But, they’re not difficult to make. If you found yourself in a SHTF situation there are a few ways to use the boughs. Use them as a roof for a makeshift shelter. Pine boughs have been used for centuries in primitive cultures to help build protective roofing to help keep elements out. With enough of them layered overtop of a structure you’d be able to keep most of the elements out and help trap heat inside. Use them for fire. Older pine boughs where the bark is flaking and the needles are dry are perfect for kindling and firewood. The bough provides you with light kindling as the pine needles will rapidly take a flame. Flaked bark can then be used to quickly form embers and burn for a few moments, and then if you have the rest of the branch you’ll have a decent amount of firewood. Use them to help trap animals. I’ve written some blogs on using paracord to help trap animals and pine boughs are a great instrument to help in the trapping process. You can use the boughs to disguise the trap. Plus, fresh boughs with sap could help mask your scent in the area, preventing animals from picking up on your presence. You know the interesting thing about stockings? They’re actually modeled after socks. However, they’re quite a bit more durable than socks. That means they have several functions in survival situations. One of the first is you can use them as a protective foot covering. Because they’re made out of more durable fabric and material you can combine them with paracord, duct tape and cardboard to fashion a pair of make shift boots. These would allow you to make a trek you couldn’t make in regular socks (or barefoot). 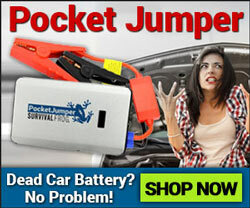 You can also use them to transport survival gear and supplies. Because they’re made specifically for holding a wide assortment of items the stocking can be stuffed to the brim with items you need. You won’t have to worry about the integrity of the stocking because they’ll be able to survive this kind of abuse. Many people use pinecones in Christmas decorations. Turns out they’re great for survival use too. Just ask squirrels, they eat things that fall from trees that actually have great survival uses. Pinecones have pine nuts, and pine nuts can be eaten (and they taste really, really good). Check out this video showing you about how to use pine cones for food. Another use for pinecones is as a fire starter. To get a raging fire using a pinecone find an opened and dried out pinecone. Stuff some light kindling, or better yet, a cotton ball inside the pinecone and then take whatever you’re using to provide a flame and light it on fire. Because the pinecone is open and dry it’ll allow oxygen to get inside the pinecone and then your flame will begin to devour the dried out shell. Fresh Christmas trees have a slew of survival uses. And if you’ve ever touched a Christmas tree or cut one down you know just how much sap is inside of them. Truth is pine sap has a wide range of survival uses. Pine sap for water proofing. The resin / sap is ideal to craft waterproof baskets and boats. Modern day primitives can also use sap to waterproof boots or moccasins. Pine sap for flavoring foods. Like the maple tree sap, pine sap stewed with meats was a favorite of Native Americans because it provided a sweet taste. First aid / wound care and healing. Native Americans also used the powers of the sap to help fight infections. It was a medicinal remedy for gangrene! The resin can provide a sticky layer of protection for wounds. Think of pine sap as a natural adhesive bandage! Turpentine. Pine sap is an ingredient of turpentine, used to thin and clean paint and artist brushes and equipment after projects. Left is Klean-Strip Green, made from 100% renewable resources and derived from pine tree resin and denatured alcohol. Ok, I might be stretching things here a bit, but in a pinch Christmas lights can actually be quite effective. If you pull all the bulbs out, Christmas light strands have a wide range of uses. 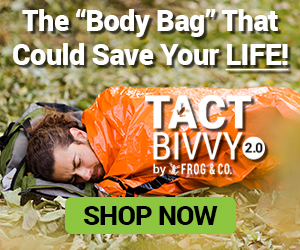 They’re tough, durable, waterproof, really flexible, and can really help out in a survival situation. Truth is there are a number of other Christmas things with survival uses. 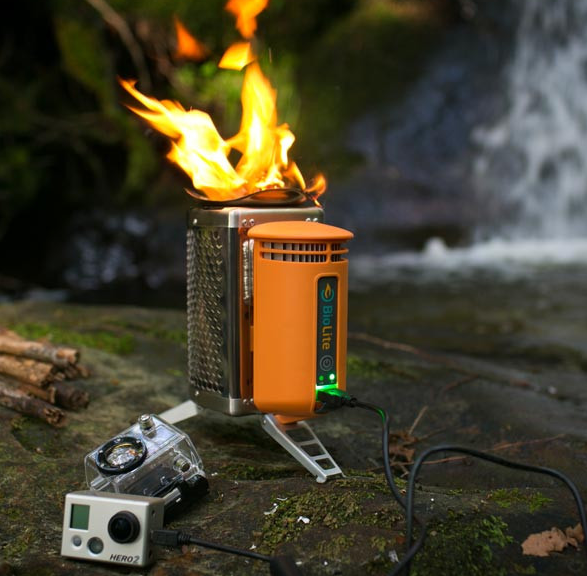 One of the ultimate items to use in combination with a variety of Christmas things is our BioLite camp stove. This tiny stove will burn pinecones, pine needles and pine bark to give you a hot fire while simultaneously charging your small portable electronics. Click here or on the image below to see a video about the BioLite. This entry was posted in SHTF, Survival Basics, Survival Checklists and tagged Christmas, pine, pinecones on December 22, 2015 by Survival Frog. Does the Biostove have shielding agst EMP effects? No it doesn’t. 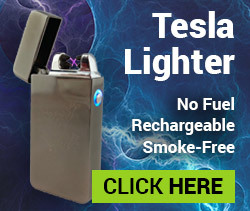 You’d need a small Faraday cage to help protect it.